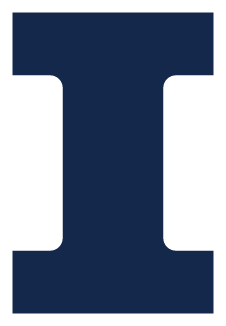 Information, counseling, and coordination of activities for Urbana-Champaign units and for interested underrepresented students are available from the Graduate College Office of Educational Equity Programs. The Graduate College Office of Educational Equity Programs was established in 1972, to continue programs of Affirmative Action to inform all prospective graduate students of the opportunities available to Urbana-Champaign graduate programs and to ensure all minority applicants an equal opportunity for admission and financial assistance. To serve as an information center for underrepresented students who are prospective graduate students. This activity involves responding to inquiries from students, faculty, and administrators both here and elsewhere. To provide information to local academic and administrative units concerning underrepresented graduate student enrollment (statistics, policies, etc.). To provide counseling and referral services for underrepresented students who have academic, personal problems, financial and other related problems. To coordinate Graduate College efforts to increase the number of underrepresented students enrolled in the Graduate College of this campus. Progress has been made toward establishing lines of communication with other institutions that have relatively large enrollments of underrepresented students. It is important that a spirit of cooperation between departments and the Office of Educational Equity Programs continue for the campus to be effective in transmitting information to underrepresented students concerning the opportunities that exist for them in each graduate program.